Q: What products are included in East Coast Bakehouse’s portfolio – how are these innovative and how do they stand out from competitors’ offerings? A: We’re launching the East Coast Bakehouse biscuit range initially with four cookies, Ginger Choc Chunk, Caramel & Pecan, Choc Chunk and Chocolate Enrobed Choc Chunk. All contain pure Irish butter, and are made in our bakehouse in Drogheda. We’ll follow that with further launches across the biscuit category, all made in Ireland, and all using Irish butter. Q: How have you managed to combine the right quality with an attractive RRP for retailers? A: Our recipes include great Irish ingredients, Irish butter and Irish oats, which really deliver in terms of taste and quality. ‘Baking Better Biscuits’ is our mantra, and we’re committed to living up to that every day. We’re a mainstream brand; the range is competitively priced, aiming to entice Irish biscuit lovers to pop East Coast Bakehouse biscuits into the trolley regularly. Q: How do you ensure you source the best possible ingredients for your products? A: We’ve been working closely with suppliers over the past year, ensuring that we source as many quality local Irish ingredients as we can. We’re also keen to ensure that our ingredients are from sustainable sources, and our quality systems are challenging our suppliers to raise their quality standards even further. Q: Last year, East Coast Bakehouse told ShelfLife that: “Of the €3 million of biscuits eaten in Ireland every week, 99.9% of that is brought into Ireland.” How significant is East Coast Bakehouse’s contribution to Ireland’s economy? A: Since we started production in Drogheda, we’ve created 38 new jobs with a plan to reach 100 jobs when we reach full capacity, subject to getting the support of our customers. We’re also sourcing Irish ingredients when possible, and working closely with many local service providers. 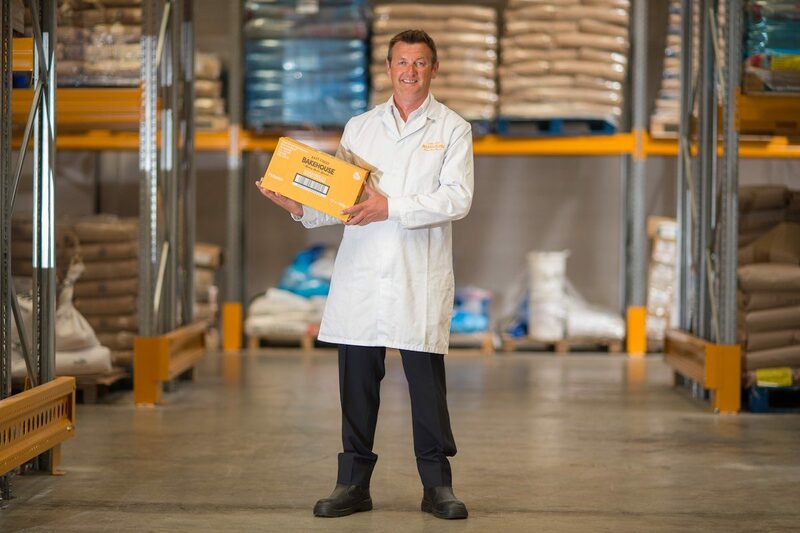 The business has re-developed the bakehouse site, transforming a previously dilapidated and abandoned building into a state-of-the-art food production facility. Again, local contractors and service providers have been instrumental in delivering the project, on budget and ontime! We’re aiming to reduce significantly the imports of biscuits by offering a great locally baked biscuit range, and we also anticipate that a significant proportion of our production volume will be exported. Our Baker’s Dozen fund will collaborate with and benefit local food charities. East Coast Bakehouse is 100% Irish-owned, with revenues staying in Ireland, benefitting the local economy. Q: Why do you feel it is important to offer an Irish biscuit option? A: As we mentioned, almost all of the biscuits currently on retailers’ shelves are imported. We Irish love our biscuits….we’re near the top of the list in terms of per capita consumption, so we believe it’s important to offer Irish biscuit lovers a range of locally baked biscuits. We’re keen to expand the range, offering a broad product range across the category, delivering real choice to the Irish consumer. Q: How significantly will you be investing in marketing East Coast Bakehouse’s portfolio? A: We’re investing in a national brand launch programme, with emphasis on social media, a strong advertising campaign and an ambitious sampling plan to get East Coast Bakehouse biscuits into the hands of Irish biscuit lovers! We’re confident that the launch will result in strong consumer demand that will keep retailers’ tills ringing.